With massive environments and unique attractions, Animal Kingdom is arguably the best themed Disney Park in North America. Disney World’s fourth gate also just completed a major transition to being a full day park, with the addition of Rivers of Light and Pandora – The World of Avatar. The new Avatar land and attractions drastically changes up the FastPass+ strategy for Animal Kingdom. What’s the best way to use your FastPass+ reservations to make sure you spend less time in line and more time enjoying Animal Kingdom both during the day and at night? Animal Kingdom’s Tier 1 attractions currently only consists of the two new attractions opening up in Pandora – The World of Avatar. 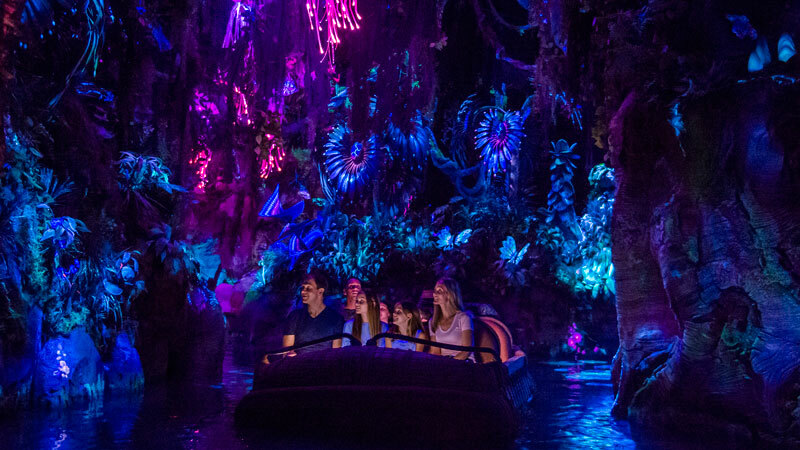 You can only get one advanced FastPass+ reservation per day for the Tier 1 attractions, meaning you have to choose between the thrill ride motion simulator Flight of Passage and the tranquil boat ride Na’vi River Journey. By all early accounts, Flight of Passage is the knock-out attraction of Pandora – The World of Avatar. This attraction is similar to Soarin’, except it has 3D and a thrill ride motion simulator component. The ride is thrilling, exciting, and intimate. Considering how popular Soarin’ is at Epcot and how popular thrill rides are in general, expect lines for Flight of Passage to be long and for FastPass+ demand for this attraction to be high. Choosing between Flight of Passage and Na’vi River Journey for FastPass, the choice is pretty clear cut, with a few exceptions. Note: Flight of Passage has a 44″ height requirement. While Flight of Passage is sure to excite thrill ride fans, Na’vi River Journey is a much more serene, family-friendly experience. Reviews are mixed due to the short nature of the ride, but this attraction seems like something everyone should ride at least once. If you don’t like motion simulators, 3D rides, thrill rides, or you are traveling with someone who is under the 44″ requirement, it’s worth considering Na’vi River Journey as your FastPass+ choice. Also, if you are visiting Animal Kingdom multiple days, you can choose Flight of Passage for one day and Na’vi River Journey for another. Now featuring a new twilight version of the ride at night, Kilimanjaro Safaris is an absolute must-do at Animal Kingdom. Unless you are showing up right at opening, lines can get pretty lengthy for this attraction. Definitely snag a FastPass+ for this. If you haven’t experienced the nighttime version of the ride, time your reservation for after dusk. Expedition Everest is a great roller coaster, with an amazing theme and pretty intense thrills. It does offer up a Single Rider line with a short wait; however, if you go Single Rider you won’t have the option to request the front row, which is the best seat on Expedition Everest in my opinion. Kali River Rapids is a great raft ride, but you do have a good chance of getting very wet on it. Like most water rides, wait times will only be high during warm temperatures. If it’s a rare cold day in Orlando, you won’t need a FastPass. Since the show is new, Rivers of Light has a high demand. The show is beautiful, and I would definitely recommend seeing it at least once. However, it is generally considered to be the least popular of the four parks’ nighttime spectaculars, and it is especially not popular with young children. Even as the show debuted, it was possible to get FastPass+ reservations the day of, and Rivers of Light offers reasonable dining packages that will secure you a seat without having to use a FastPass. Of these four attractions, I would put Rivers of Light as the lowest priority unless you haven’t seen it. Of these options, the Character Meet and Greet FastPass reservation will save you the most time, as meet and greets are typically low capacity and feature slow moving lines. 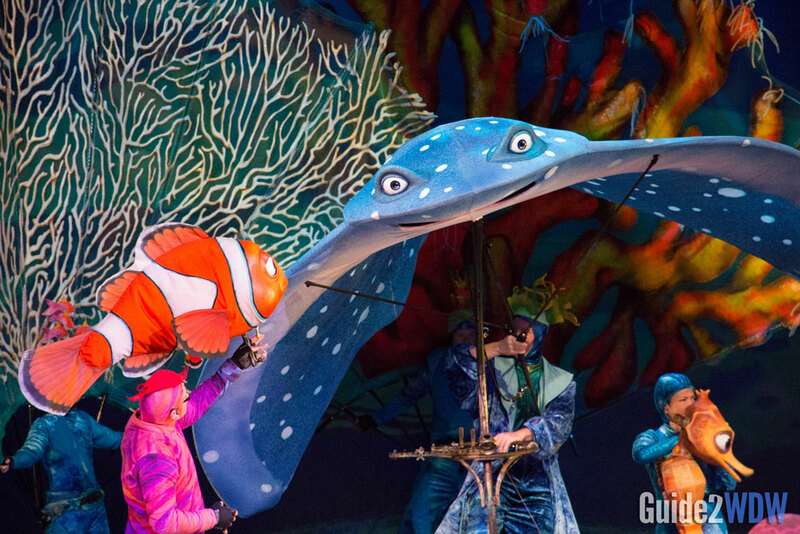 As for the shows, both Finding Nemo and Lion King are two of the best performances at Disney World, and definitely worth attending. A FastPass for either of these don’t necessarily guarantee you a shorter wait, since they recommend FP+ attendees to show up 30-45 minutes ahead of time anyway. You will get first pick of seating, and you’ll be able to sit in the theater before other guests, which makes for a more comfortable wait. A FastPass for either Nemo or Lion King is good to get if you have a spare reservation. Otherwise, you’ll probably be fine doing standby. These three attractions usually don’t command the type of wait times that make a FastPass+ reservation necessary. You’re much better off getting any of the other attractions. Only make reservations for these if there are no other options. Make your FastPass+ reservations as early as possible, especially for Flight of Passage, Na’vi River Journey, Kilimanjaro Safaris, and Expedition Everest. Disney World Resort guests can book 60 days before the start of their trip, and all other guests can book 30 days before using MyDisneyExperience. Want a Pandora plan? If you’re spending two days at Animal Kingdom, use your first day to get a FastPass for Flight of Passage and your second day to get a FastPass for Na’vi River Journey. However, if you only have one day at Animal Kingdom, I would get a FastPass for Flight of Passage, preferably late morning. I would get to Animal Kingdom at rope drop and head straight to Na’vi River Journey. The line will be most reasonable right at opening. We’ll learn more about the crowd patterns once the land opens after May 27. Because Animal Kingdom has started to offer distinct nighttime experiences, plan accordingly. Here are the two strategies we would recommend: Make your reservations for late morning/early afternoon and get to the park right at opening. This will allow you to go on most of the in-demand attractions while giving you an opportunity to get additional FastPasses later in the day. Alternatively, if you definitely want to have an evening at Animal Kingdom, make your FastPasses for 5 PM or later. This is great for if you want to park hop from another park earlier in the day. You can get extra FastPasses after you’ve used your first three via the MyDisneyExperience app or the FastPass kiosks throughout the park. For more info, read our entire guide on how to get your extra FastPass+ rides. 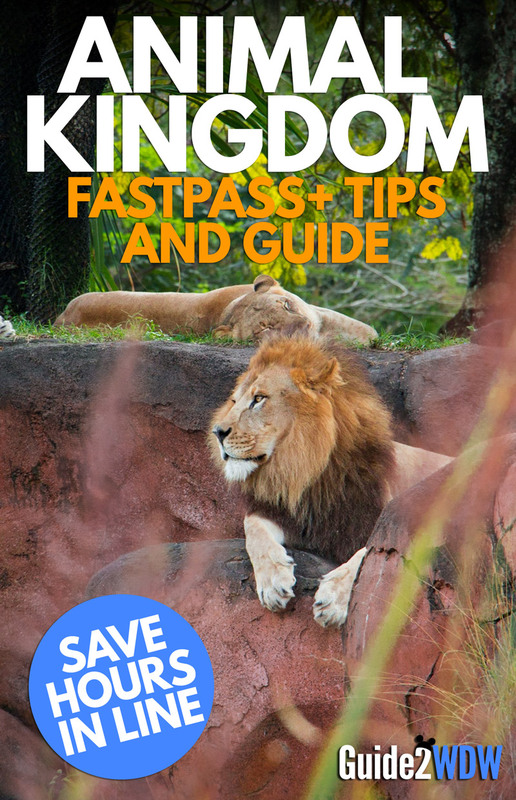 Want more FastPass+ tips? Check out our 10 FastPass+ Tips You Need To Know post, and don’t miss our Tips on Securing Hard to Get FastPass+ Reservations. We also have more MyMagic+ and FastPass+ tips here. Want to get even more prepared for your Disney World vacation? Click the graphic above to sign up for a free official Disney World vacation planning DVD from Disney. 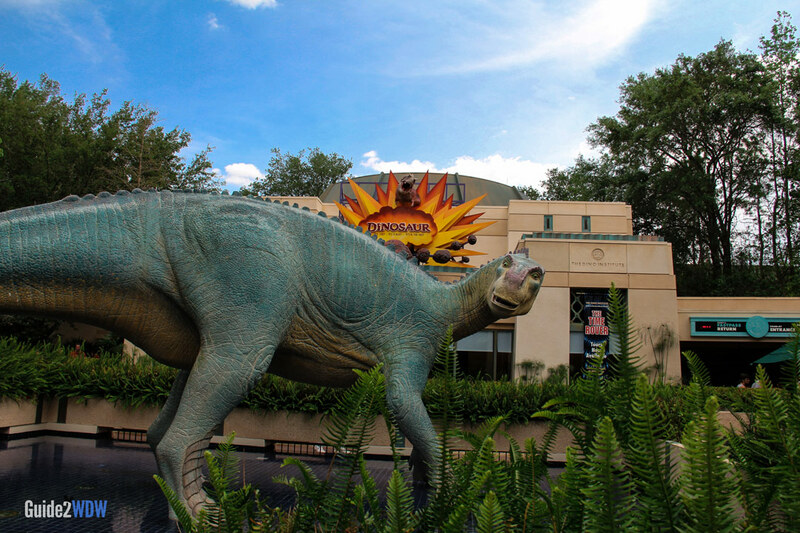 This fun resource is a great way to learn more about the parks and get excited about your upcoming trip to Orlando. Plus, did I mention that it’s completely free? passes,and with 30-90 days to do it,someone with only a few weeks to pick,there left out in the cold.just my opinion.